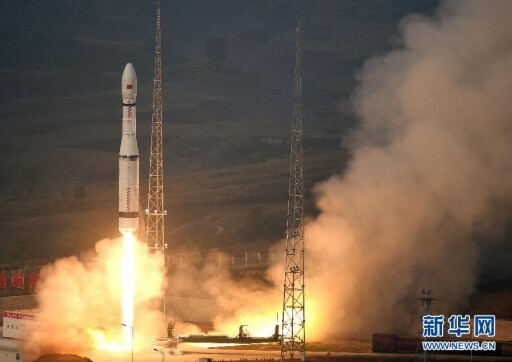 China’s new Long March 6 rocket blasted off on its maiden flight Saturday night, launching from the Taiyuan Satellite Launch Center on a critical demonstration flight. Liftoff took place around 23:00 UTC on Saturday and satellite operators announced the success of the mission after the satellites had separated from the rocket about 15 minutes into the flight. The mission carried a large number of over a dozen small satellites to be delivered to a Sun Synchronous Orbit, around 524 Kilometers in altitude. Long March 6 is the first of several new Chinese launch vehicles to debut in the years to come as the Chinese space program prepares for a major switch in rocket technology – ultimately stepping away from launchers fueled by toxic hypergolic propellants and transitioning to a combination of Kerosene and Liquid Oxygen as propellants for the primary stages of the rockets – an environmentally friendly propellant combination. The Long March 6 rocket is the light-lift vehicle in the new generation of Chinese launchers, to operate alongside the medium-lift Long March 7 and the heavy-lifter Long March 5, both set to make their maiden flights in 2016. 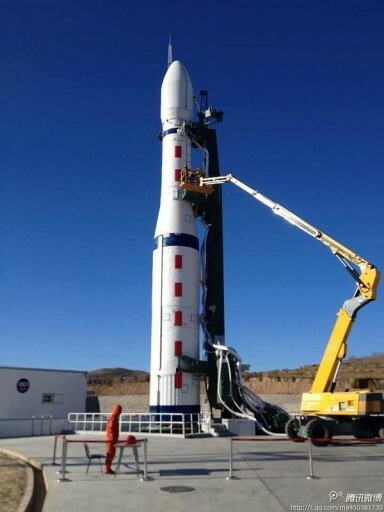 Another new rocket, the all solid-fueled Long March 11, is currently being prepared for its first launch in the coming days or weeks to demonstrate China’s largest solid rocket motor. The criticality in the maiden flight of the CZ-6 version also arises from the commonality between the new generation of Kerolox vehicles that is being implemented as a cost-saving measure and to accelerate the development of the new rockets. A number of components are common across the different variants of Long March 6, 7 and 5 including engines and rocket stage construction. Long March 6 set out to demonstrate the YF-100 engine for the first time in a flight environment, also to be used on the boosters and first stage of the Long March 7 rocket and the boosters of the heavy Long March 5. Furthermore, the tanks and overall structure of the CZ-6 first stage is largely based on the larger Long March 5 booster for a simplification in the fabrication of the two rocket types that can share tooling and manufacturing techniques. The YF-115 second stage engine employed by the Long March 6 also finds use on the second stage of the CZ-7. Given the large amount of commonality between the Long March 6 rocket and its bigger sisters, Saturday night’s test flight will significantly affect the development of the CZ-7 and CZ-5 after actual in-flight data from the various components can be factored into analysis and flight/environment calculations. The Long March 6 launching on Saturday was outfitted with in-flight instrumentation for the collection of data beyond the normal launch vehicle telemetry to allow engineers to accurately assess the response of all components to the different flight environments. Long March 6 stands 29.24 meters tall and has a first stage diameter of 3.35 meters with an empty mass of 9,020 Kilograms and a fueled launch mass of 103,200 Kilograms. The rocket is capable of lofting 1,080 Kilograms into a Sun Synchronous Orbit. 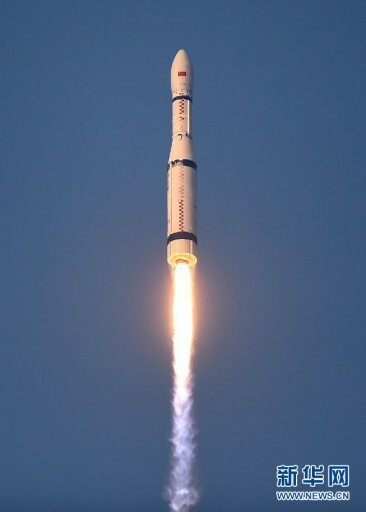 Long March 6 blasted off from Taiyuan under the loud thunder of its first stage, powered by a single YF-100 engine delivering a thrust of 120,300 Kilogram-force, burning 410 Kilograms of Kerosene and supercold Liquid Oxygen each second of flight. YF-100 began its development in the early 2000s with the Russian RD-120 as a basis after its designs were acquired by the Chinese. The engine entered flight testing in 2005 and was fully certified for flight in May 2012. YF-100 is a high-pressure staged combustion engine using an oxygen-rich preburner that delivers the high-pressure gas needed to drive the engine turbopump which feeds propellants to the combustion chamber of the engine, normally operating at 180 bar. The engine can throttle from 65% to 100% to allow the launch vehicle to fly flexible mission profiles. 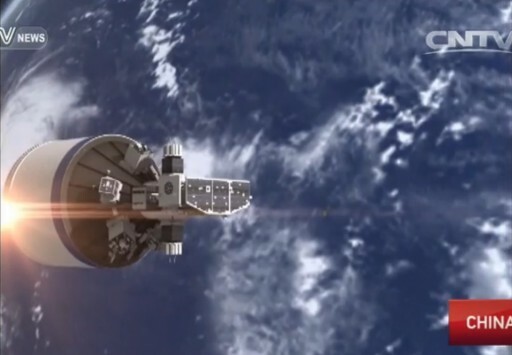 CZ-6 employs two-axis gimbaling of the engine for stabilization in the yaw and pitch axes while roll control is provided by four 1-Kilonewton thrusters burning a combination of Hydrogen Peroxide and Kerosene. The first stage of the Long March 6 was to burn for about three minutes, consuming 76 metric tons of propellants. The second stage of the vehicle has a length of around 7.3 meters and a reduced diameter of 2.25 meters, enabling it to hold 15,150kg of propellants for consumption by a single YF-115 engine that has the ability of performing more than one burn for injections into a variety of orbits. YF-115 is a turbopump-fed engine delivering a total vacuum thrust of 17,850 Kilograms. Control on the second stage also uses engine gimbaling for pitch/yaw and a group of four 25-Newton thrusters for roll. Sitting atop the second stage is the optional Long March 6 Trim Stage that measures around 1.8 meters in length and 2.25 in diameter featuring a set of four main thrusters, providing a total thrust of 410 Kilogram-force by burning Hydrogen Peroxide and Kerosene along with eight 100 Newton thrusters for attitude control. This stage is capable of making multiple burns over a long mission duration to target a variety of orbits with precise insertion capability. For Saturday night’s demonstration flight, the Long March 6 was topped by a cluster of inexpensive Micro- and CubeSats ranging from technology demonstration spacecraft, to student-built and amateur radio sats – all hosted by a series of deployers to set them free at pre-programmed intervals. Separation of the satellites was expected 15 minutes after liftoff into a sun synchronous orbit inclined 97 degrees. 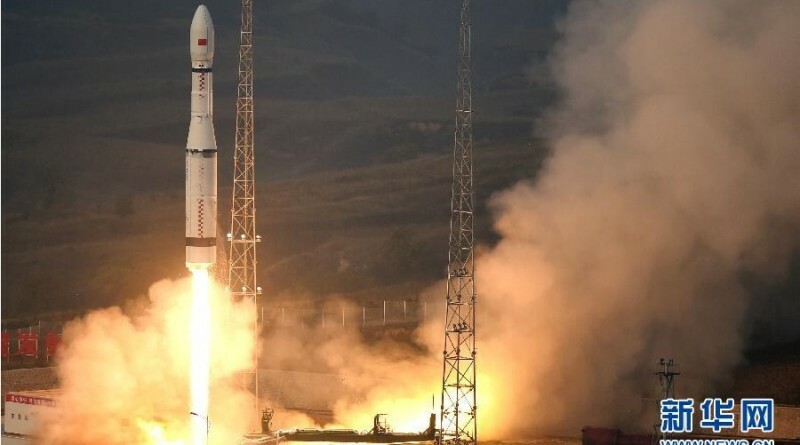 The payload of this flight included nine satellites that are part of the China Amateur Radio Satellite Constellation, coordinated by the Chinese Academy of Sciences. Chinese Amateur Radio Satellites 3B, 3C and 3D are three identical microsatellites, each with a mass of 10 Kilograms. They are equipped with telemetry and beacon transmitters operating at the amateur radio frequencies. All three are designed to build a small constellation of satellites for the analysis of the spatial properties of phenomena ongoing in the upper atmosphere, detected by a suite of sensors. Chinese Amateur Radio Satellites 3E and 3F are two identical PicoSatellites, each with a mass of 1.5 Kilograms. 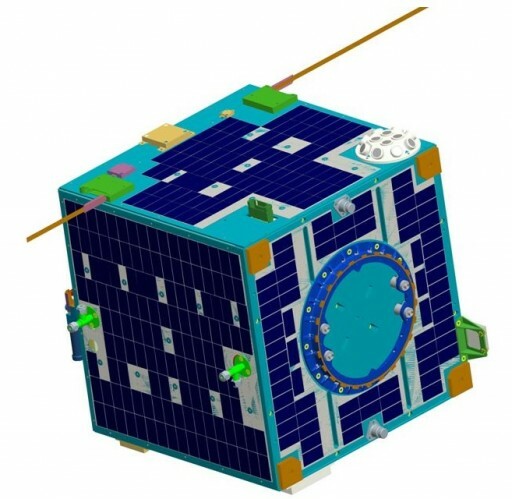 Deployed from the CAS-3A satellite, the two small satellites are purely dedicated to amateur radio missions featuring communications payloads for telemetry and beacon signals transmission. Chinese Amateur Radio Satellite 3G follows the 2-Unit CubeSat form factor and was developed at Shenzhen Aerospace Dongfanghong HIT Satellite. LilacSat 2, also known as Chinese Amateur Radio Satellite 3H, was built by the Harbin Institute of Technology and weighs 11 Kilograms, outfitted with a number of payloads to provide students with hands-on experience in the conduct of a space mission. Payloads include a communications system with digipeater and repeater function based on a software defined radio, and a second software defined radio multi-band payload for the decoding of maritime Automatic Identification System signals and Automatic Dependent Surveillance – Broadcast signals from aircraft. The satellite also carries an imaging payload sensitive to thermal infrared wavelengths plus a Field Programmable Gate Array space-based software testing platform. NUDT-Phone-Sat, also known as Chinese Amateur Radio Satellite 3I, is a 100-gram pico satellite based on smartphone technology. The small satellite will demonstrate a number of functions using smartphone technology adapted for spaceflight at National University of Defense Technology. Kongjian 1A, 1B and 1C are three technology demonstration satellites of unknown specifications. Tiantuo-3 was built by the National University of Defense Technology for a technology demonstration mission. Zheda Pixing 2A and 2B, each weigh 12 Kilograms to demonstrate a range of technologies for in-space rendezvous and proximity operations of satellites. Systems tested on the spacecraft include an advanced guidance, navigation and control software for automated formation flying through the use of an innovative micro propulsion system using ammonia gas as propellant for orbit changes and formation-flying. To communicate and determine their relative positions, the two satellites use an S-Band Pseudo Noise Code Ranging System, a set of dual-GPS receivers and a new miniaturized accelerometer and gyroscope which will be used for attitude determination. Xingchen 1, 2, 3 & 4 are miniature technology demonstration satellites.